The exhibition of writing, visual and applied art is part of an annual Tasmanian Prison Service (TPS) project delivered with the support of volunteers, local business and other organisations. Through this project, inmates from across the state have been supported to develop skills of creative self-expression and to showcase their talents to the general public. “We’re now in the project’s third year, and have a record 70 offenders involved,” Corrections Minister Nick McKim said. “Virtually all the evidence shows when you give prisoners a strong sense of accomplishment and self-esteem, it’s much easier for them to adjust back into community life when released, and therefore much less likely to re-offend. Artists with Conviction is also one outcome of a new partnership between TMAG and the TPS aimed at delivering education outcomes for inmates, which was officially signed at the opening of the exhibition last week. Along with the exhibition, the partnership will result in a range of educational experiences being offered to minimum security inmates, including workshop programs and access to resources. The partnership outcomes will be delivered jointly by staff from TMAG’s Centre for Learning and Discovery and TPS education staff. Programs are currently being run for inmates by TMAG’s AccessArt program staff, with TMAG’s Museum Discovery team to offer further programs in early 2014. 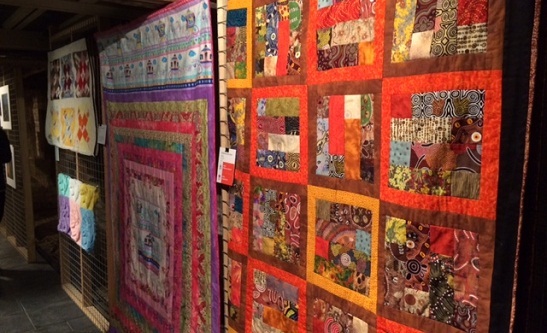 Above: Some of the works on display as part of Artists with Conviction. 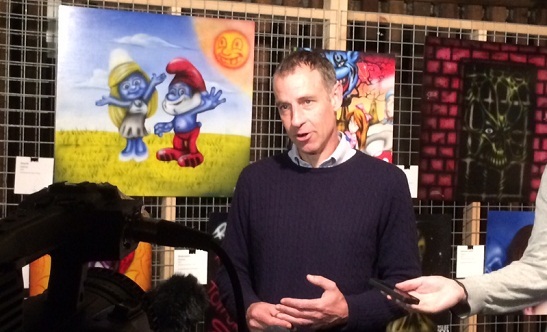 Below: Corrections Minister Nick McKim addresses the media at the opening of Artists with Conviction.